At Turtle Rock Farm, we love to be inspired by our community of local producers and artisans, and we also love to draw inspiration from global cultures and practices. Today we are going to talk about an amazing Swedish tradition called Fika. Both a noun and a verb, Fika is a communal coffee break, usually accompanied by a sweet or savory snack. Colleagues will often Fika together in the morning, the afternoon, or both! When I traveled in Scandinavia, I was not only struck by the beauty of the landscapes, but also by the way of life. Instead of grabbing a latte to go, people were able to honor their coffee break, and would take time each day to connect with people while sharing this special beverage. Today we are going to have a Maine Fika. 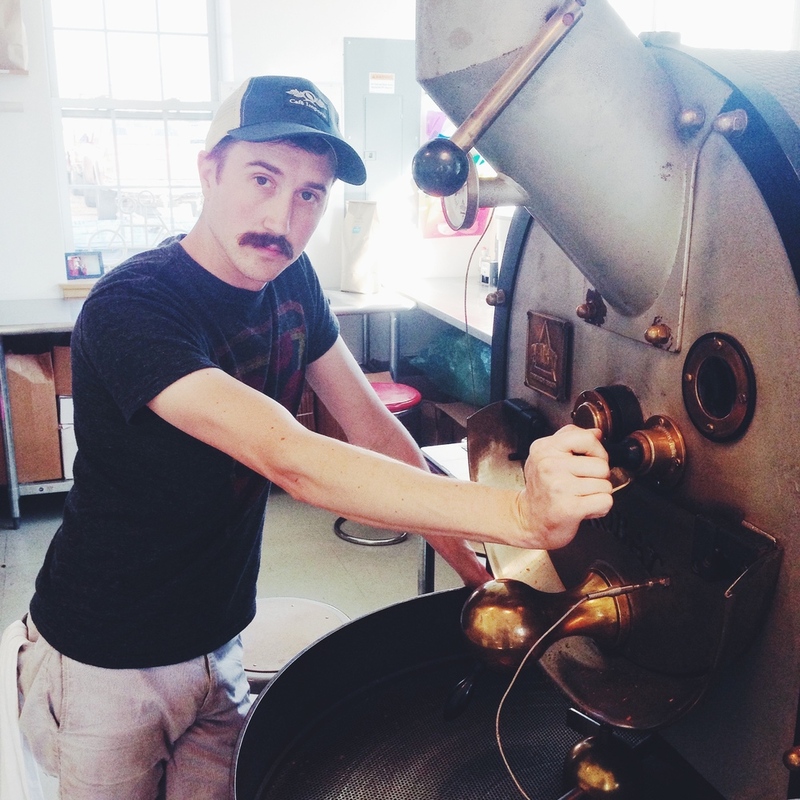 We will be brewing Adado coffee, from one of our favorite roasters, Tandem Coffee Roasters in East Bayside, Portland. 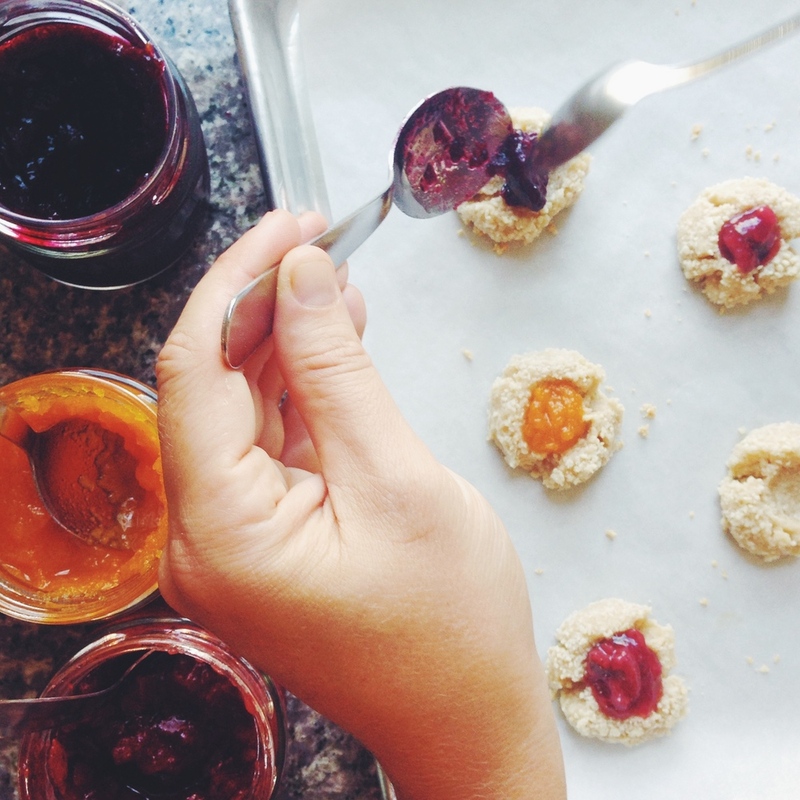 For our Fika snack, we are going to make Thumbprint Cookies, using Maine Grain whole wheat and TRF Spreadable Fruits, which are now available for sale in our online shop! First a word about Tandem. A free standing 1930s brick building houses both their roastery and cafe, where customers can enjoy gorgeously brewed espresso, pour-over drinks, & malted iced coffee. Today I stopped by Tandem to pick up a bag of Adado for our Fika. I spoke with Will Pratt, who co-owns Tandem with Kathleen Pratt, to discuss some details of the Adado roast. He explained to me that Adado is a co-op of over 1,000 farmers, and is sourced in Yirgacheffe, Ethiopia. The beans are heirloom varietals, and are grown at around 2,000 meters. Just like all produce, coffee beans have their season, depending on the region. Tandem sources coffee when the beans are fresh, which means late Spring for Ethiopian beans. This is the second year Tandem has roasted Adado, and they chose it because of the complex balance of sweetness and acidity. Think cacao, grapefruit, and black pepper. Tandem is about to open a second location and bakery on the West end of Congress Street, and we can't wait to Fika there! Thanks Tandem! Separate the egg yolk from the egg white, keeping both. 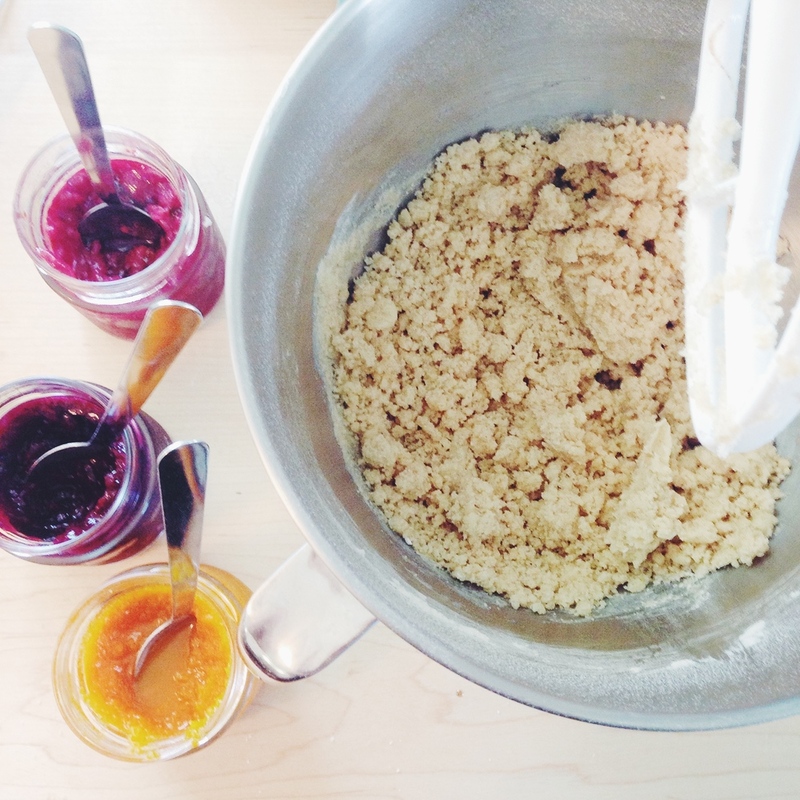 In a large mixing bowl, whisk together AP flour, whole wheat flour, & Maine sea salt. In a small bowl, beat the egg white lightly. Using a mixer with the paddle attachment, cream the butter and 1/2 c sugar at medium speed, until light and fluffy (about 3 minutes). Add egg yolk and vanilla, mix until just combined (about 15 seconds). 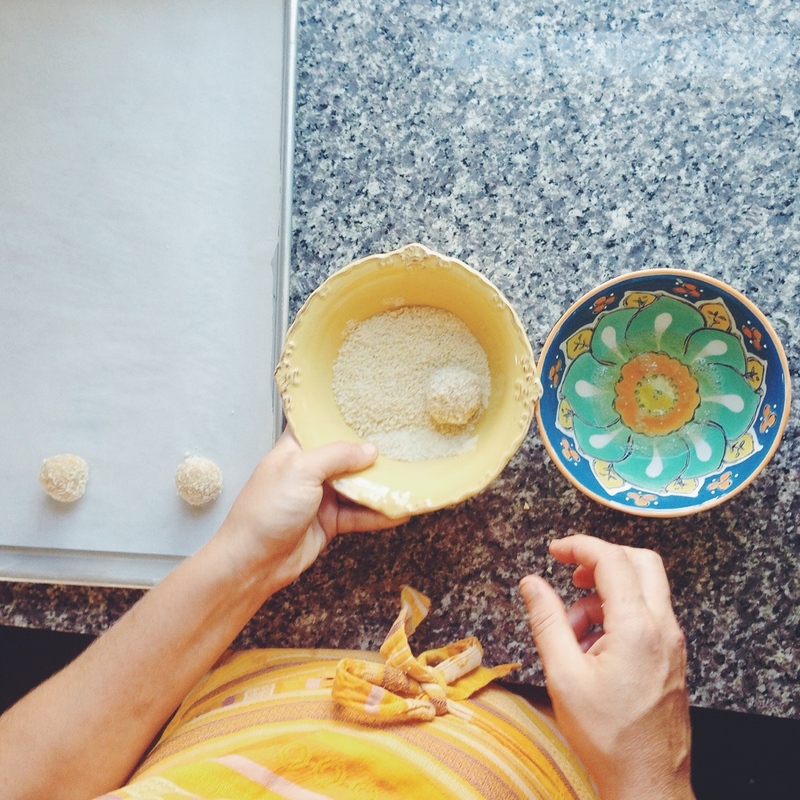 Scoop out a tablespoon at a time, and gently press into a ball with your hands. Put in oven and bake for 10 minutes. 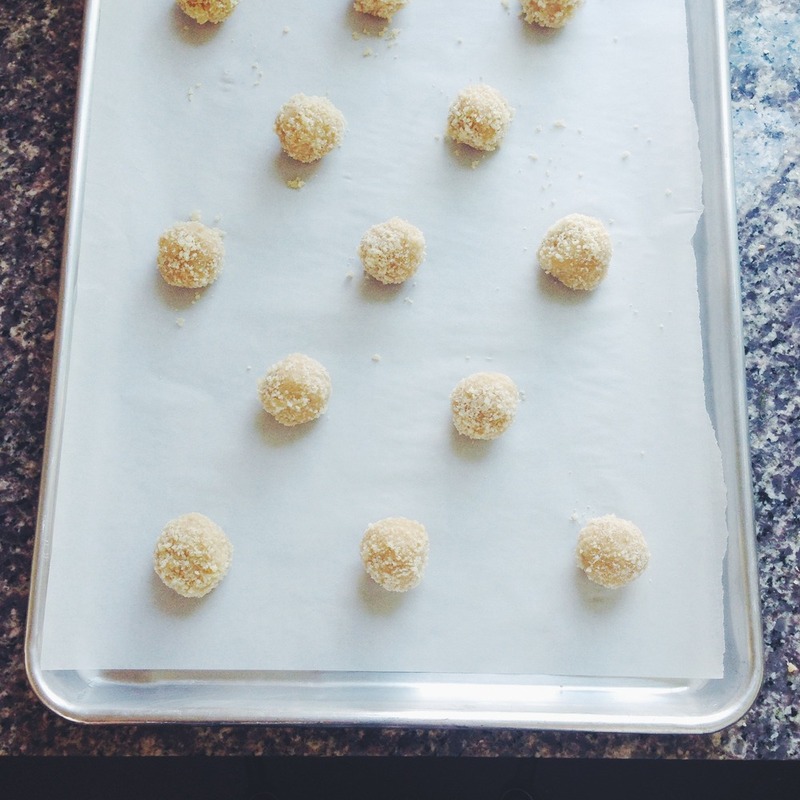 Rotate pans, and bake another 10-12 minutes. Serve with coffee (we are making iced maple Adado) and enjoy your Fika!